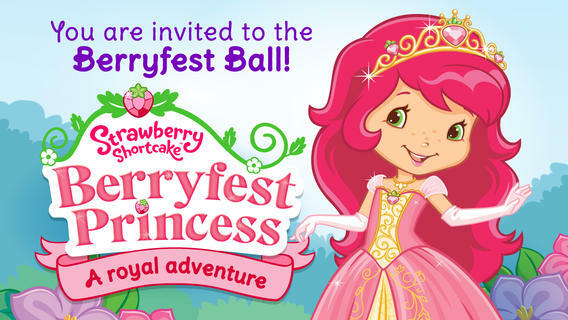 FREE for a limited time – Strawberry Shortcake Berryfest Princess from Cupcake Digital. Kids join Strawberry Shortcake & her friends as they plan the Berryfest Ball in this cute story about friendship and working together. The story is filled with fun animations and it has 3 after-reading activities: Tea Party, Crochet, and Coloring. The Tea Party game has kids helping to set the table and the Crochet game asks kids to complete words by finding the missing letter. There are 6 pictures and a blank page for kids to color in the app’s Coloring section. There is also a Grown Up’s Corner which has 2 sets of questions about the story. The questions address literal understanding of the story (thin questions) as well as extended meaning (fat questions). Also included in the Grown-Up Corner is information about the Common Core Standards addressed by this app which are predominately kindergarten standards. Print-outs and activities to supplement the story are available online at cupcakedigital.com. This educational app is a must-have for Strawberry Shortcake fans! !